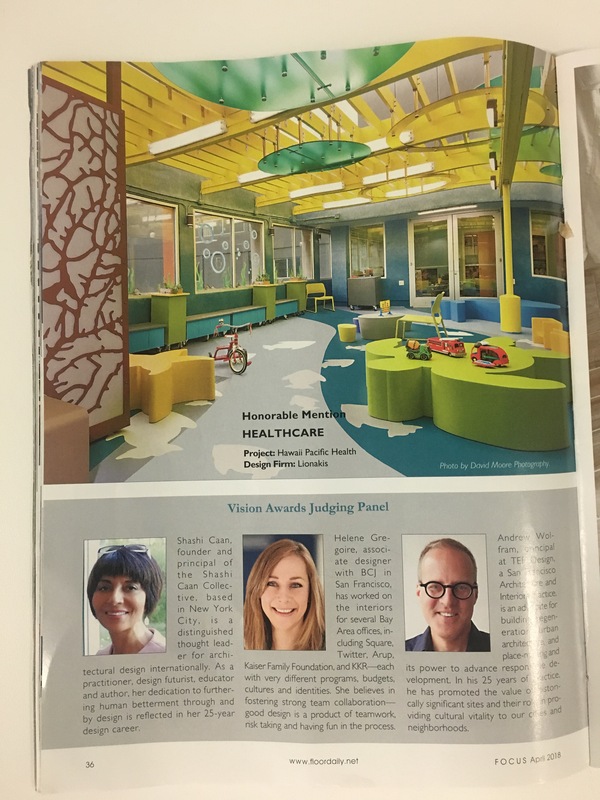 In April, Lionakis learned that we were a recipient of a Vision Design Award sponsored by Floor Focus Magazine, receiving the Healthcare Honorable Mention on the Hawaii Pacific Health Kapiolani Medical Center Children’s Outdoor Playroom Renovation. 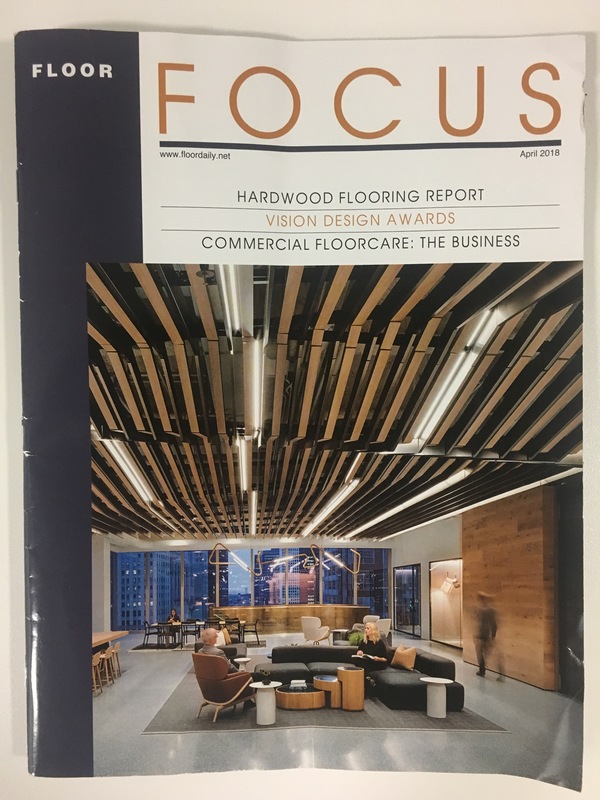 Floor Focus Magazine also shared with us that our project was the first ever Hawaii project to win a Vision Design Award, and we were one of 140 submittals. 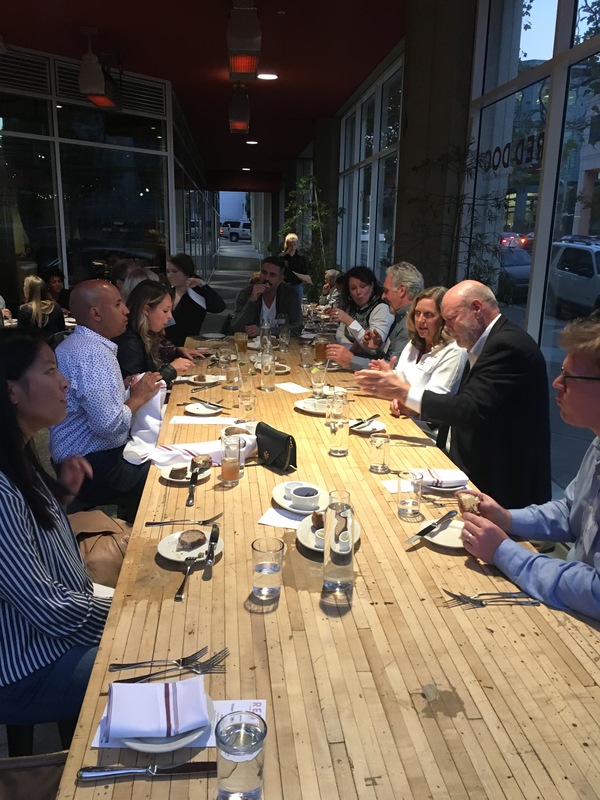 Architecture and design firms across North America that submitted were judged primarily on the integration of the floor with the overall space design. 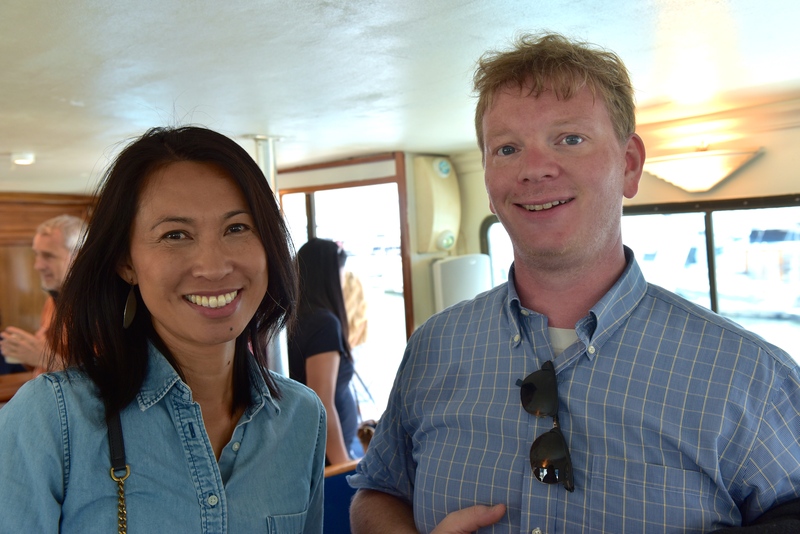 Our very own Interior Designer, Jenny Manansala, along with the other honorees were invited to San Francisco September 7-9 to attend the ninth annual 2018 Floor Focus Design Awards Ceremony to accept their awards and share in the winning celebration of each of their projects. 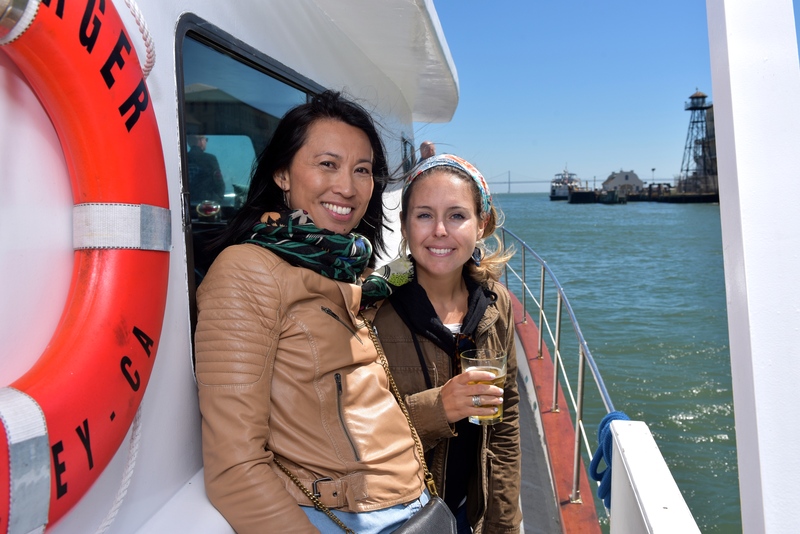 Fun events took place throughout the weekend including a welcome dinner the first night for all honorees and sponsors to meet one another, and a boat cruise along the San Francisco Bay prior to the awards ceremony. 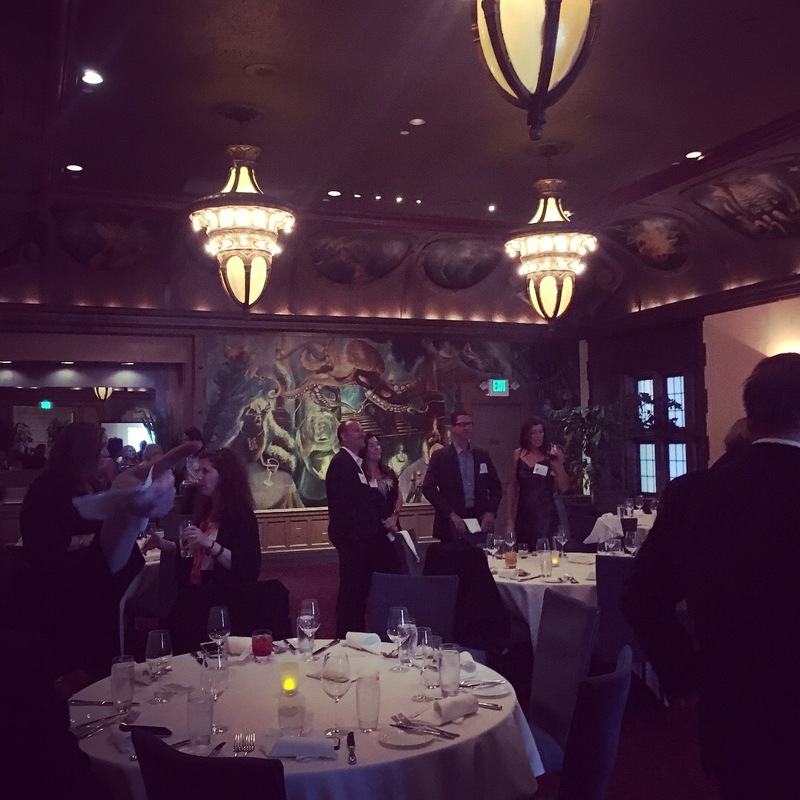 Lionakis is so honored to have been awarded for our work on this successful transformation that will provide the surrounding community, patients and staff with a vibrant space for generations to come.